The TRAVANDO RFID Slim Wallet could be the nicest looking minimalist wallet I’ve seen yet. Is it really a slim wallet though? 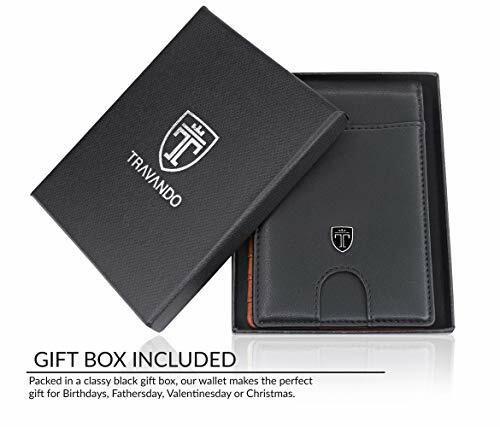 How does the TRAVANDO RFID Slim Wallet stack up? 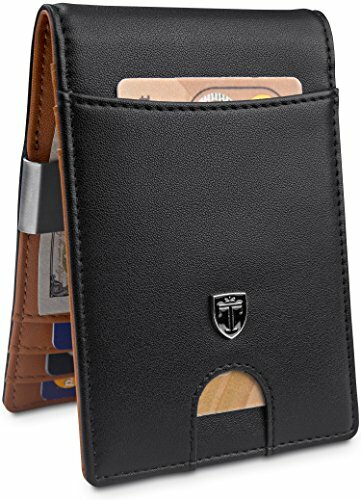 A relatively simple design, the TRAVANDO RFID Slim Wallet begins with an easy access card on the outside or front of the wallet. Complete with easy access tab to make it easier to access. 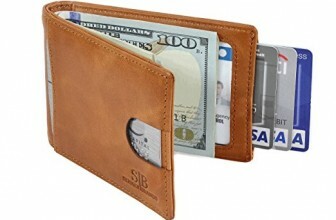 The tab or “hole” is an oft overlooked feature which complements these types of wallets very well. 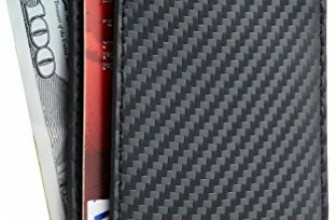 Opening the wallet reveals three credit card slots on opposing sides but facing the same direction. In the middle, a money clip. My first question is, why not have the slots on the left, face the other direction? If you choose to keep your bills unfolded, they will obscure the cards. 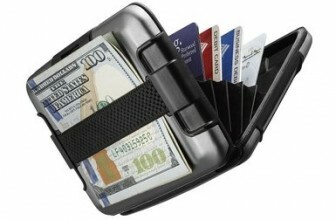 Having the cards face the other way keeps your hands away from the money clip and allows easier access. Let me demonstrate with my superior Photoshop skills! Okay, so maybe it looks a bit strange. You could always put another logo in the empty space. It might look okay. Anyway, I digress! The money clip is super tight and sturdy. Probably one of the nicer ones I’ve seen. All the cards are 13.56mhz RFID protected. This means that they even have RFID shielding on the outer card slot too which is nice. 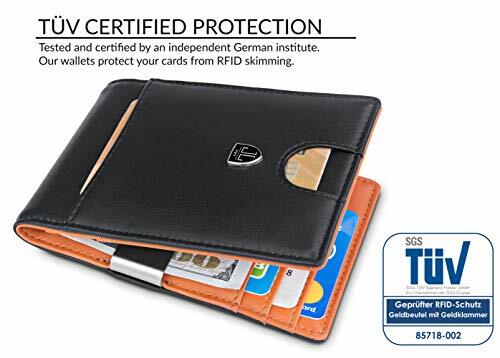 This is where the TRAVANDO RFID Slim Wallet really shines. Every detail down to the stitching is super accurate and detailed. The embossed logo is a nice touch and the tan colour contrasts really nicely with the black. It kind of reminds me of the Lightester. 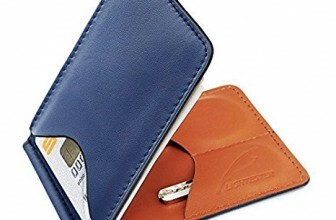 You can also choose brown in which case the entire wallet is a deep, even colour. It’s not real leather but it feels great. It also means you avoid the obvious worn look that many leathers will produce. At the same time, it also means the wallet might not stretch and settle. 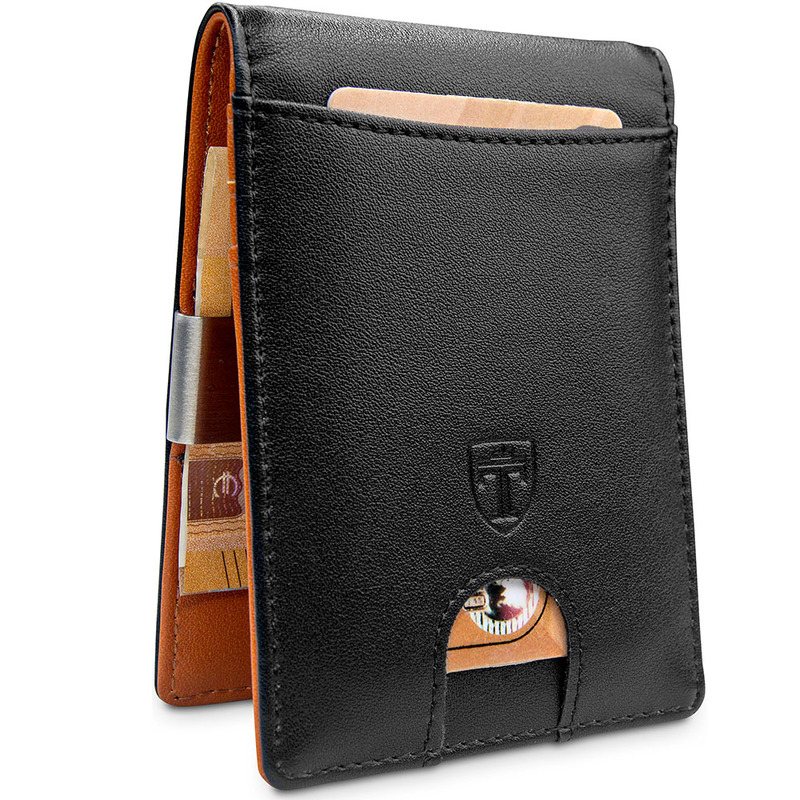 The advantage of leather in many cases is that tight card slots will loosen over time. More on that later. I really like the rounded corners and the attention to detail throughout. Even the money clip has a nice etched logo. You really feel like you’re holding a much dearer wallet in your hand. This is where the question of “slim wallet” comes into question. Is it a slim wallet? Yes. 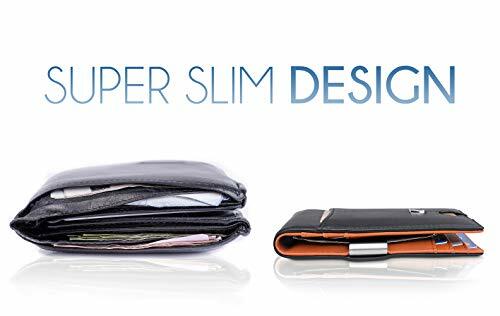 Is it an ultra thin slim wallet? No. 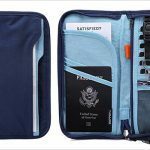 You could blame the bi-fold or the RFID material. Either way, when this wallet is full, it’s thick. 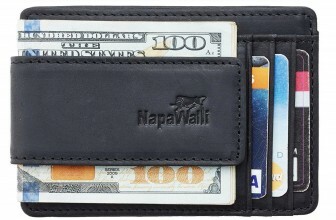 This is one of those minimalist wallets that I won’t recommend “double-stuffing” your card slots. 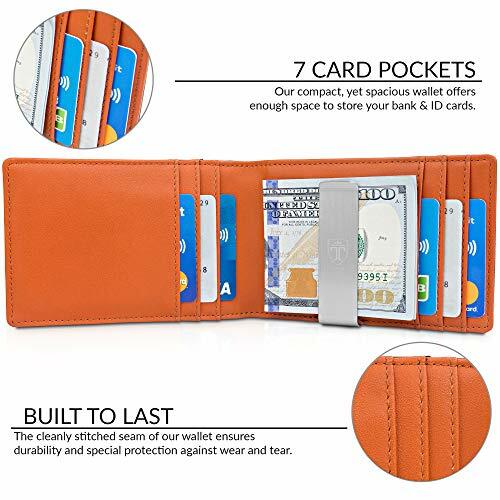 Aim for 7-10 card capacity in what is already a pretty bulky slim wallet. 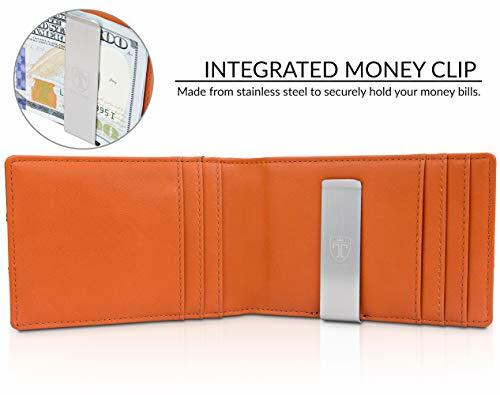 One of the areas of concern is that the credit card slot immediately underneath the money clip is very hard to use. Putting a card in there is like saying goodbye to ever getting it out again. The other slots are tight but work well (apart from the direction thing I talked about before). The money clip is super tight too. 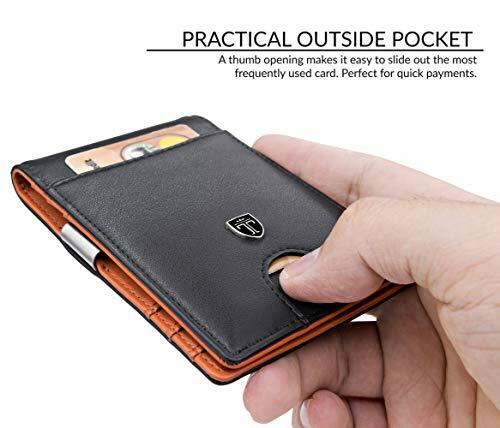 On one hand, I want my money clip to be tight. On the other hand, if it’s a pain to use I don’t want to know about it. Actually putting notes in without folding them is the best way for me. You can fit about 15-20 bills in this way. Halve that for folded. I feel like they might have missed a trick here by not offering a clear ID slot too. You could arguably use the outer easy access slot for this however. 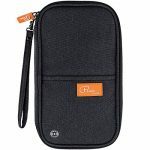 You know the more I wrote about the TRAVANDO RFID Slim Wallet with Money Clip the more I liked it. 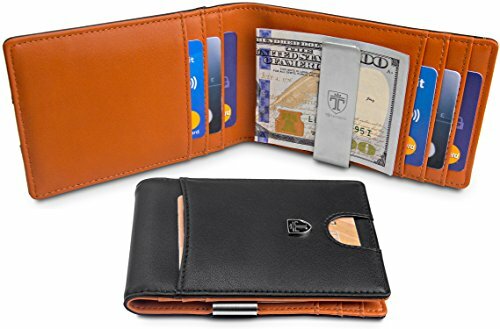 You can't go past just how nice this wallet looks and feels. With a couple of practical design issues fixed and a slimmer overall feel, it could be one of the best. Great value.